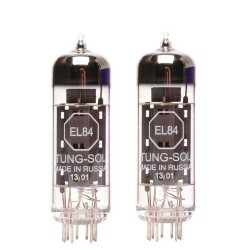 Tung-Sol began as a manufacturer of electric lamps in 1907. 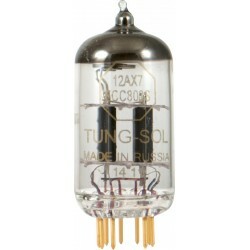 In the 1920's, Tung-Sol had expanded into high quality vacuum tubes. 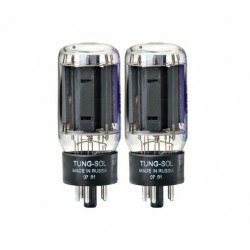 Today's new production Tung-Sol tubes are constructed with the same commitment to quality and reliability. 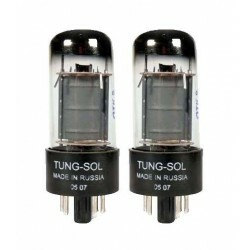 Assembled by hand in the Reflektor factory in Saratov, Russia, new production Tung-Sol tubes reflect the best in vintage Tung-Sol construction with unsurpassed tone and reliability. 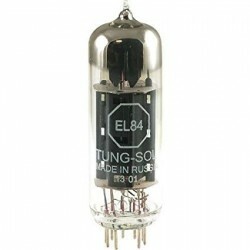 Preamp tube, Made in Russia, The Tung-Sol ECC803s is a low noise version of the standard Tung-Sol 12AX7. Warm in character with lots detail, this tube is perfect for any hi-fi or musical instrument amp out there. 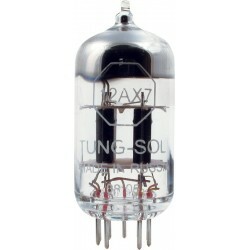 Preamp tube, Made in Russia, The Ultimate 12AX7. Big, warm, and musical. High Gain, ultra-low microphonics, and superb linearity with a dynamic 3-D sound. 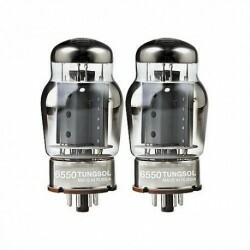 Power Amp Tubes, Matched pair, Made in Russia, Copy of the original type 3 Tung-Sol 6550 made in the 1960s. Triple getter, carbonized screen, and gold plated grid. The current production benchmark of the classic 6550. 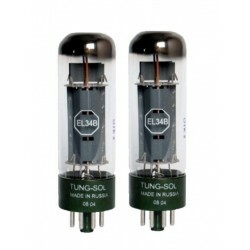 Power Amp Tubes, Matched pair, Made in Russia, Higher impedance design with increased touch responsiveness and a unique clipping characteristic with a hint of the 6L6 sound. Power Amp Tube, Made in Russia, Due to its rugged construction and conservative ratings, it is the most reliable current production EL84 type available for use in Vox AC-30 type amplifiers. In addition, its linearity and tone characteristic make it the ideal replacement for EL84 hi-fi amplifiers, such as those built by Fisher, Scott, and Harmon-Kardon.